Morph Your Face In Real-Time! What is Face Warp Live? Face Warp Live lets you morph you or your friend face live in real time video. Use any of the face morph presets or customize how you want your warp to look. Unlike the other apps like this, Face Warp Live, tracks your face so you don’t have to put your face in a particular position to get all the fun. Morph Your Face. In Real-Time! Just point the camera at you or your friends face and you can morph it like goo with just drawing with your finger. Use Warp Presets! Lots to Choose From. 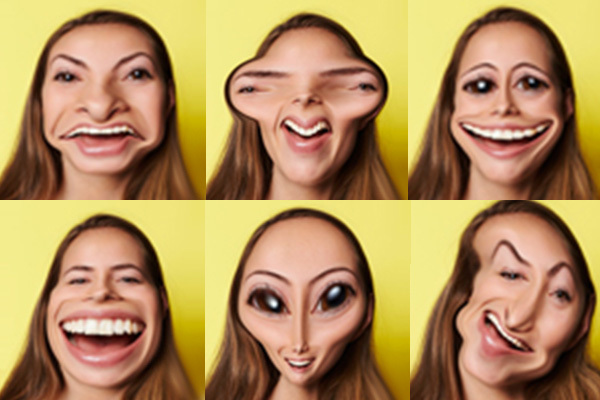 Pick one of the many warp presets to morph your face into a frown, a smile, an alien and on and on. 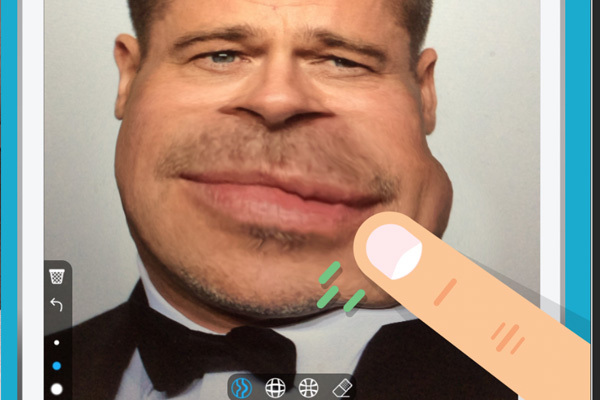 Pick smudge, expand or shrink pens to create your custom face morph. Use the eraser fix or to start over. Face Warp Live™ was developed by Laan Labs. For press inquiries or content partnerships please contact us there.